The Northeast Association of State Transportation Officials (NASTO) brings together representatives from the state transportation departments of the Northeastern United States and the Canadian provinces of Ontario and Quebec. NASTO serves as a focal point for discussion and research on transportation issues of interest to its members, with an emphasis on promoting cooperation and partnership among its members.NASTO members include the Transportation Departments (or equivalent) and their employees in Connecticut, Delaware, District of Columbia, Maine, Maryland, Massachusetts, New Hampshire, New Jersey, New York, Ontario, Pennsylvania, Quebec, Rhode Island, and Vermont. Pete K. Rahn was appointed Secretary of the Maryland Department of Transportation (MDOT) by Governor Larry Hogan on January 21, 2015. He is the first person to have led transportation departments in three states. As Transportation Secretary, Mr. Rahn oversees a $5.1 billion annual budget (FY 2018) and leads more than 10,000 employees. MDOT has direct supervision of all aspects of transportation, including the state’s highway, transit and rail networks; toll facilities; motor vehicles; Baltimore/Washington International Thurgood Marshall Airport; and the Helen Delich Bentley Port of Baltimore. Prior to his appointment, Mr. Rahn was chairman of the New Mexico State Transportation Commission from 2011 to 2015. He served as Director of the Missouri Department of Transportation from 2004 to 2010, when he joined the Kansas City, Mo.-based HNTB construction engineering firm. He was Cabinet Secretary of the New Mexico State Highway and Transportation Department from 1995 to 2002. As a transportation leader in New Mexico and Missouri, Mr. Rahn managed billions of dollars in multi-modal transportation investments — from highways and transit to airports and freight rail — to create jobs and expand economic development, while focusing on innovation, teamwork, accountability and enhanced communication. At the national level, Mr. Rahn was President of the American Association of State Highway and Transportation Officials (AASHTO) from 2007 to 2008. In 2017, he was appointed to a two-year term as Chair of AASHTO’s Committee on Funding and Finance. He also has served as a member of AASHTO’s Board of Directors, Chairman of its Standing Committee on Performance Management and Chairman of its Standing Committee on Highway Traffic Safety. 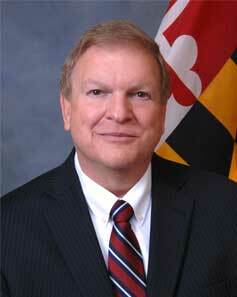 From 2006 to 2010, he served on the Executive Committee of the Transportation Research Board. From 2015 to July 2018, he was vice president of the Northeast Association of State Transportation Officials (NASTO). In July 2018, he was named president of NASTO. Mr. Rahn received a Bachelor of Arts degree in Government and a Bachelor of Science degree in Planning from New Mexico State University. Mr. Rahn’s wife is Sue.